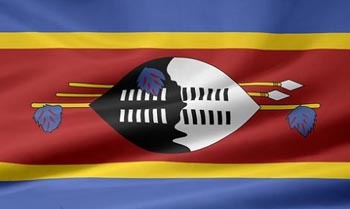 In September the tiny mountainous kingdom of Swaziland has been on the agenda of the media as it went through its unique and controversial electoral process under the so-called Tinkhundla system. Basically, the Tinkhundla system is a form of governance based on traditional administrative subdivisions. There are 55 tinkhundla in Swaziland scattered around the four districts: 14 in Hhohho District, 11 in Lubombo District, 16 in Manzini District, and 14 in Shishelweni District. This article explores the short-comings that undermine the Tinkhundla system's contributions to creating a democratic polity in Swaziland. The Constitution of the Kingdom of Swaziland regards the Swazi government as a democratic, participatory, tinkhundla-based system that emphasizes devolution of state power from central government to tinkhundla areas. Notably, under the Tinkhundla system the balloting is done on a nonpartisan basis, as the formation of political parties is not allowed under the Swazi Constitution, although the latter makes room for freedom of assembly and association. In principle therefore, election or appointment to public office is on the basis of individual merit. The Tinkhundla system features a bicameral parliament that comprises the House of Assembly of 65 members, 55 of which are elected from candidates nominated by traditional local councils while the other 10 are appointed. The upper house of parliament or Senate has 30 non-partisan members, 10 of which are elected by the Parliament and the other 20 appointed by the monarch to serve five year terms. Not long ago, the Tinkhundla system has come under attack from pro-democracy activists and South Africa. They have criticized the system as being backward, oppressive and conservative and for encouraging human rights abuse and socio-economic decline in the country. It is estimated that 60 % of Swazi live below the poverty line, while the royal family maintains an extravagant lifestyle. Notwithstanding the elements of devolution and local participation inherent in the Tinkhundla system, the system displays a number of short-comings that undermines its contributions to creating a democratic polity in Swaziland. Firstly, the tinkhundla regime puts too much power and emphasizes the Swazi custom as the source of law in the country, which sometimes impedes Swaziland from domesticating international and regional democratic principles such as popular sovereignty. It is for this reason that the system leaves the power to veto any law or legislation in the hands of the king and the royal family, undermining accountable and responsive leadership. This is reflected in, for example, Swaziland's reluctance to accede to the African Peer Review Mechanism (APRM), which effectively shields the monarchy from the scrutiny of its African peers and reduces the chances for political change in the country. Despite some inherent shortcomings, the APRM arguably remains Africa's most comprehensive mechanism for promoting good governance, especially given its emphasis on civil society participation and the fact that majority (33 of 54) African states had acceded to the APRM that leaves minority 21 African states non-acceded states. Secondly, by disallowing political parties, the Tinkhundla system restricts political participation and violates the freedoms of the Swazi people to form associations or assemble, freedoms that are fundamental to a democratic polity. Most importantly, the banning of political parties takes place despite the existence of section 25 of the 1996 constitution that provides for freedom of association. In this context, the Tinkhundla system ostensibly falls short in the fulfillment of the most basic democratic principle of citizen participation. This explains the growing apathy (about 27 000 people signed up - less than a tenth of the 350 000 in previous polls) over elections and calls for reforms that would open up the political space and allow for genuine inclusive, participatory and accountable political processes in the country. Lastly, under the Tinkhundla system, human rights abuse and arbitrary arrests of pro-democracy activists has continued to undermine the ideal of a democratic regime and contradicts the democratic principle of the application of the rule of law in an unbiased manner. This is manifested by the arbitrary arrests of some pro-democracy activists, including the arrest of the secretary general of the Trade Union Congress of Swaziland (TUCOSWA), Vincent Ncongwane, and the Secretary General of the Swaziland Youth Congress and the former President of the Swaziland National Union of Students, Maxwell Dlamini. This has resulted in some people exiling to neighbouring South Africa for fear of being incarcerated for political reasons. This is in addition to continued media censorship which was manifested by the passing of laws banning Swazi Radios from broadcasting news and information that does not support the government's own agenda and the increase of the existing fines on journalists and media houses who published articles deemed to be critical of or offending against Parliament or the MPs. Now attention has been shifted to the Southern African Development Community (SADC) region, and South Africa in particular, as the regional economic powerhouse that have the power to effect change in Swaziland's political landscape, for example, by influencing a change in the formula of the Southern African Customs Union (SACU) (which is Swaziland's only source of income) and thereby exerting enormous financial pressure on the undemocratic tinkhundla system to bring about reform. In the end, the Tinkhundla system in Swaziland can be regarded as a manifestation of the "fallacy of electoralism", in which elections are a mere mechanism to entrench dictatorship or privilege the royal family over others. The failure to allow political parties in such a system works to undermine some of the basic principles of democracy. Swaziland therefore needs far reaching reforms that would open up space for the participation of all groups in the country's political processes. Undoubtedly, an open political playing field will support economic integration, ultimately enhancing regional integration which is key to the development of the SADC member states and Africa more broadly.